You’re most likely prepared for needing a down payment when you purchase a home, but you may not be aware that you may need to cover closing costs. Knowing what to expect as you move into the home buying process can lessen stress and help you make decisions with confidence. Let’s go over some of the basics when it comes to closing costs for home buyers. 📝 What are Closing Costs Based On? 💲 What are Typical Closing Costs for Buyers? 💵 What Closing Costs are Tax Deductible? Closing Costs is a broad term that covers a wide range of fees and costs associated with the purchase of a home. Moreover, these fees are due at the day of closing, which is how they got their name. Closing costs are not set by one company or the lender. They are a compilation of many different parties involved in the administrative and legal aspects of the sale. When your offer is accepted on the home you’ve chosen, your lender will begin to schedule an appraisal and any inspections that are needed. At this time, you’ll receive a Good Faith Estimate (GFE) that provides a list of possible closing costs. Keep in mind that this is just an estimate and the actual closing costs can be significantly different or higher. For this reason, it’s a good idea to have a substantial amount of money put aside for closing costs. There are other factors that impact closing costs. The factors include the loan amount, the loan terms, the number of service providers, and the interest rate at the time of the sale. While it’s difficult to predict which closing costs will be applicable to your purchase situation, we can give you a good idea of some possible fees. Application Fee: Charged by your bank or lender and covers any costs associated with processing your initial loan application. Not all lenders charge this fee. Appraisal Fee: Charge by whatever third party does the lender’s appraisal on the home. This appraisal is done to ensure you aren’t paying more than what the property is worth. Closing Fee: You may need the services of an attorney, escrow agent, or title company at closing. This fee covers those services. Courier Fee: If a company is used to transport documents, you’ll see this fee. Credit Report Fee: Not all lenders charge a fee for running your credit reports, but don’t be surprised if you see this one listed. 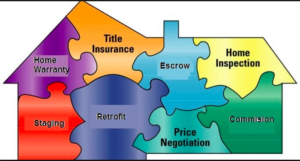 Escrow Deposit: Depending on terms, you may be asked to pay several months of property taxes and mortgage insurance payments. These can be added to closing costs in most cases. Home Inspection: There may be one or more inspections done after your offer is accepted. Inspections cover things like the roof, foundation, and structural elements. Private Mortgage Insurance Premium: Your lender may require you to have a private mortgage insurance policy. If so, the month’s fee for that could be added to the closing costs. Recording Fees: This fee is charged by a county or local recording office to record the real estate transaction. Title Examination Fee: To ensure that the title to the home is free and clear, there may be a title search completed. This fee is paid to the title company doing that examination. Survey Fee: You may need to pay a surveyor to verify the property lines. This may or may not be required and will depend on the laws of your jurisdiction. Transfer Taxes: You will be required to pay taxes associated with the transfer of property. Prepaid Interest: Your lender will require that you pay any interest that accrues between closing and the date of your first mortgage payment. Pest Inspection: This fee will cover the cost to determine if the property has been damaged by termites. It will also determine if the wood contains any dry rot. Government loans require a pest inspection. While closing costs can be substantial, most of them are not tax deductible. However, there may be some costs that you can claim on your yearly taxes to help lower your tax bill. Things you may be able to claim include, the mortgage interest paid at closing. 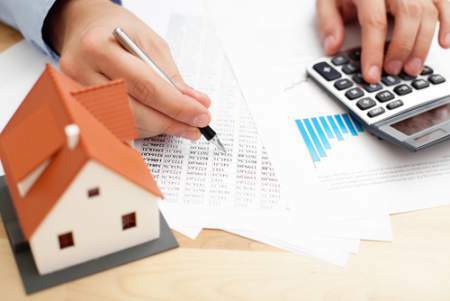 Additionally, you may be able to include real estate taxes, points purchased to buy down the interest rate, and private mortgage insurance costs. 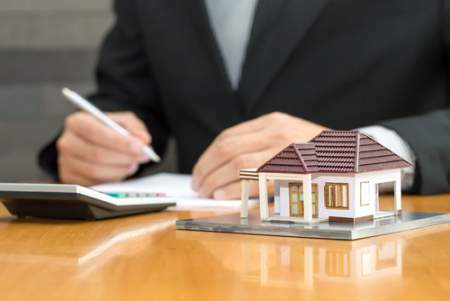 Therefore, keep in mind that there are times when the seller decides to cover all or part of the closing costs as part of the contract for purchase. Thus, your real estate agent will help you when it comes to being clear on exactly what you’re responsible for paying on closing day.